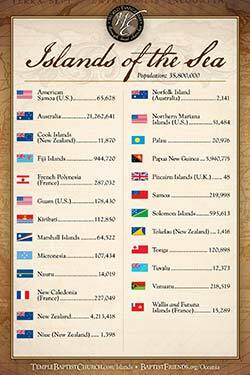 Oceania is a region centered on the islands of the tropical Pacific Ocean. 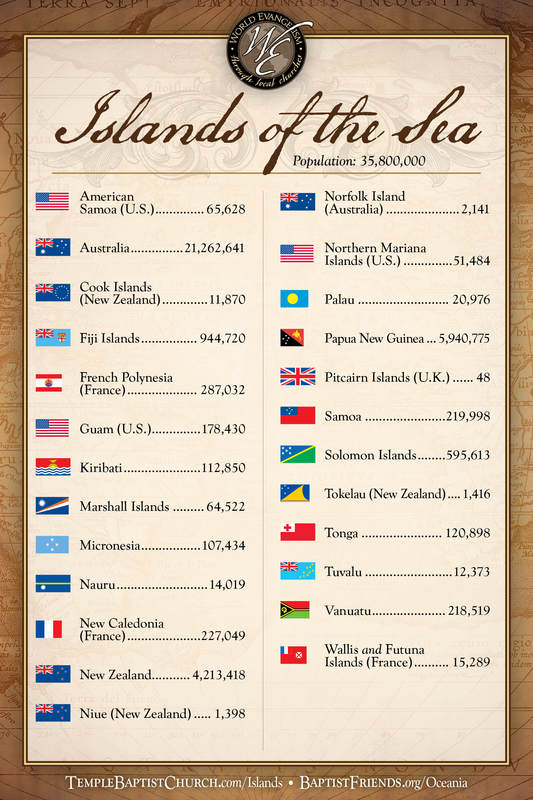 Conceptions of what constitutes Oceania range from the coral atolls and volcanic islands of the South Pacific (ethnologically divided into the subregions of Melanesia, Micronesia, and Polynesia) to the entire insular region between Asia and the Americas, including Australasia and the Malay Archipelago. 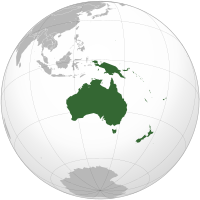 The term is sometimes used more specifically to denote a continent comprising Australia Continent and proximate islands or biogeographically as a synonym for either the Australasian ecozone (Wallacea and Australasia) or the Pacific ecozone (Melanesia, Polynesia, and Micronesia apart either from New Zealand or from mainland New Guinea).